The Redwood V-Shaped soprano ukulele is the coolest way to rock out on a uke. This unique V-shaped ukulele is awesome, suited to both beginners and seasoned pros who're looking for a rock-inspired metal to let loose on. If you are more Alice Cooper then Abba, then this could well be the ukulele for you. The cool V-shape body is made from laminated linden - basswood -, a tonewood that is lightweight, yet has a powerful midrange sparkle. As the body is laminated, it gives the V-Shape ukulele the ability to handle changes in humidity and temperature with ease - a must for those who're looking for a model that travels well. Fitted to the body is a sturdy neck that is married to an accommodating 14-fret fingerboard. Providing a responsive yet seamless connection between the strings and body is the expertly crafted maple bridge. The nut supports the strings at the headstock end of the neck to improve sustain and intonation. Geared tuning machines uphold tuning integrity precisely whilst you thrash away. The V-shape ukulele has been treated to a sleek black finish. 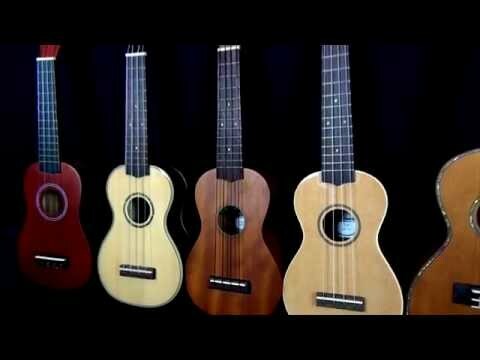 Ukulele skills are also transferable to many other fretted instruments and can be a great introduction for younger children wishing to learn the guitar. The ukulele is easy to learn, and great fun for any musicians of any level. Grab your very own Redwood V-Shaped soprano ukulele and get playing today. Posted on 22/09/2017 by Reece I'm a metal guitarist so i play alot of crazy looking guitars but one of my friends has a ukulele and i wanted to play with him on a gig he is doing, when i saw this ukulele and it's astonishing price I was set to buy this one and this one only. The quality and tone are pretty good especially for the price. It had a couple tuning problems straight out the box but they were easy to fix. Is it possible to buy an extra case for it separately though? I'd like another but i can't find them anywhere.